Ganesh tilting ladles are designed and manufactured to follow the Indian standard specification to the extent applicable. 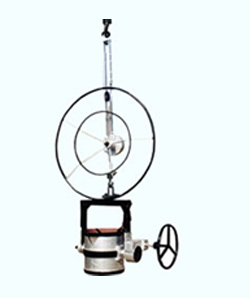 Ganesh manufactures geared, lip pouring, crane suspended, tea pot spout and drum type ladles for iron foundries and geared and crane suspended bottom pouring ladles for steel foundries. Ladles ranges from 300 kg to 10 ton. • Correct balance ensuring safe operation and less human effort. • Spare parts readily available. 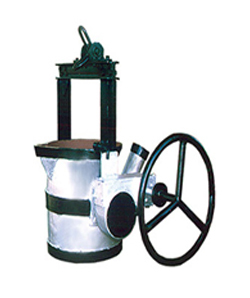 • Ganesh ladle preheater find application in heating refractory linings of bottom pouring and lip pouring ladles. 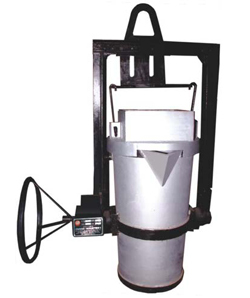 • Ganesh ladle preheaters are available with oil, LPG, gas fired options. 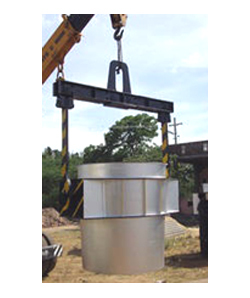 • Saves fuel and time by ensuring ladle lining is ready to receive molten metal. • It helps to prevent blows due to dried or poorly heated lining. • It improves metal quality by reducing heat losses from metal. 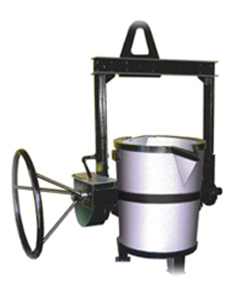 Ganesh ladle handlers are designed with spring operated pawl for the vertical movement of ladles. 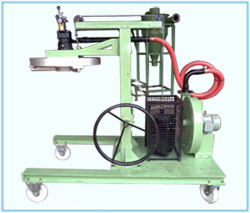 Extra large friction disc brakes are provided for maximum safety.